An individual’s total superannuation balance (‘TSB’) determines many of their superannuation rights and entitlements, such as eligibility to contribute after-tax amounts into superannuation without an excess arising. Accordingly, there is a strong incentive for individuals to carefully monitor their TSB over time, particularly towards the end of a financial year (‘FY’) when most TSB thresholds are tested. In many cases, actions taken to reduce an individual’s TSB through appropriate planning in a prior FY will provide an individual with greater flexibility in relation to their superannuation. This article (the first in a series on strategies relating to the TSB) examines the strategy of making pension payments and/or paying lump sums to moderate an individual’s TSB. Before considering strategies to reduce an individual’s TSB, it is useful to consider the key elements of the TSB definition. reductions for any structured settlement contributions. The above is a broad summary only. A detailed examination of the TSB methodology that is set out in s 307‑230 of the Income Tax Assessment Act 1997 (Cth) is beyond the purpose and scope of this article. Payments of pensions and lump sum amounts are both outgoings that can reduce an individual’s TSB. Generally, an individual must meet a relevant condition of release before they can receive a payment from their superannuation fund. For example, an individual must attain preservation age (which ranges from 55–60 years old depending on their date of birth) before they are eligible to commence a transition to retirement income stream (‘TRIS’). pay a lump sum from their accumulation entitlements to the extent that their benefits comprise unrestricted non-preserved benefits. Each of the above types of superannuation payments can help to moderate an individual’s TSB, though naturally there are limitations on the potential impact of TRIS payments due to the 10% maximum payment limitation (and commutation restriction) where a full condition of release has not been met. Additionally, it should be borne in mind that there may be non-TSB considerations that will factor into choosing one type of payment over another. For example, making pension payments above the required pension minimums is not generally advisable due to there being no debit for pension payments under the transfer balance account. Benjamin is the sole member of a self managed superannuation fund (‘SMSF’) which is 100% in pension phase. Benjamin is not a member of any other superannuation fund. On 15 July 2018, Benjamin’s accountant confirms that Benjamin’s TSB just before 1 July 2018 was $1,580,000. If Benjamin had not partially commuted $50,000, his TSB would have been $1,630,000 just before 1 July 2018 because the performance of the assets exceeded Benjamin’s estimate on 10 June 2018. Fortunately, Benjamin took action to moderate his TSB and included a ‘buffer’ amount in his request for his ABP to be partially commuted and paid outside the superannuation system. The above example demonstrates how the payment of a lump sum amount can reduce an individual’s TSB. For individuals who satisfy a relevant condition of release, making pension payments and/or lump sum payments is a readily accessible strategy to reduce their TSB. This strategy can be used in isolation or in various permutations with other strategies (subject to the below commentary about pt IVA of the Income Tax Assessment Act 1936 (Cth) (‘ITAA 1936’)). While it is very difficult to rule out the application of the general anti-avoidance provisions in pt IVA of the ITAA 1936 to the strategy of using benefit payments (ie, making pension payments and/or lump sum payments) to moderate an individual’s TSB, we are not aware of the ATO publicly expressing a view that such a strategy constitutes a ‘tax benefit’ and circumvention of the new rules. Additionally, we consider that paying benefits where a relevant condition of release has been met is, by itself, so common that it would be difficult to see the ATO applying enforcement scrutiny to this strategy in relation to pt IVA of the ITAA 1936 apart from blatant or contrived cases. However, it is worth highlighting the following example from the Superannuation Taxation Integrity Measures consultation paper released by Treasury in relation to proposed laws to capture outstanding loan balances for limited recourse borrowing arrangements (‘LRBAs’) in an individual’s TSB. Laura is the sole member of her SMSF, which holds $2 million in accumulation phase. The SMSF uses $1 million of its existing assets and the borrowed $500,000 to acquire a $1.5 million investment property. Laura’s TSB as at 30 June 2019 is $1.5 million, comprising the net value of the property of $1 million ($1.5 million purchase price less the $500,000 LRBA) as well as the other assets valued at $500,000. As her TSB is below $1.6 million, Laura can make further non-concessional contributions of up to $100,000 in the year ending 30 June 2020. As the SMSF repays the LRBA, the net value of the fund will increase and Laura’s TSB will approach the $1.6 million threshold. However just prior to reaching the $1.6 million threshold, she could withdraw another lump sum and enter into a new LRBA to acquire another income-producing asset. 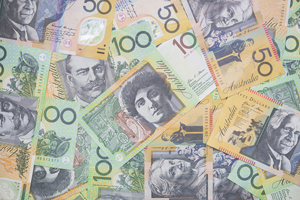 This would reduce her TSB again, allowing more contributions to be made to the SMSF. The above example illustrates that Treasury regards using benefit payments together with related party loans to moderate an individual’s TSB (and as a result of that enable additional non-concessional contributions) is a potential threat to the integrity of the new superannuation reforms. Naturally, it should be borne in mind that Treasury does not necessarily represent the ATO’s view as the regulator of SMSFs, and not everything that is (arguably) a threat to the integrity of the new laws will strictly fall foul of the general anti-avoidance provisions in pt IVA of the ITAA 1936. However, conservatively, taxpayers should be mindful that where they are contemplating using a benefit payment strategy to moderate their TSB, the risk of pt IVA being enlivened might conceivably be magnified if this strategy is used together with other actions, such a entering into an LRBA with a related party loan, or paying a small benefit and making a large contribution in a tight timeframe. In Part 2 of our series, we highlight another strategy that can be used to reduce an individual’s TSB.